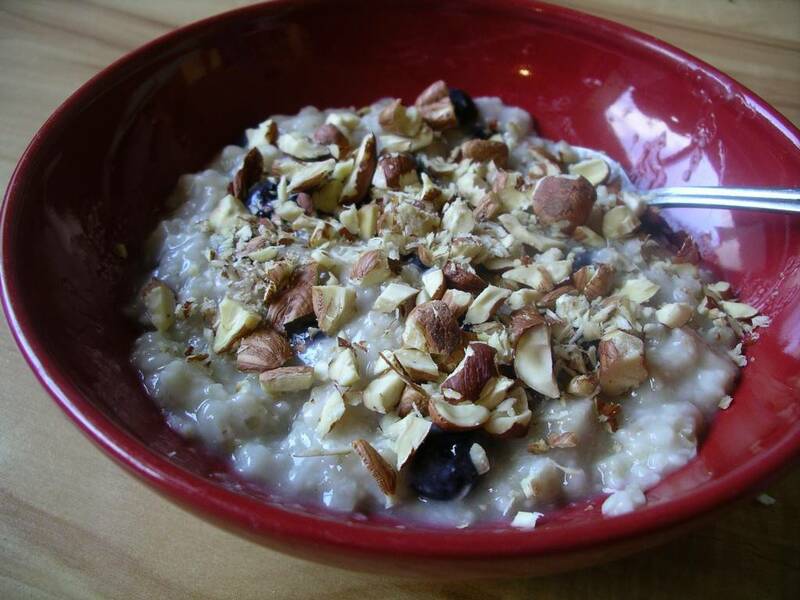 Three Bears Porridge is a breakfast standby in our home, and one of our favourites. It is both delicious and comforting, but make no mistake: this is not your average bowl of oatmeal with nuts and fruit added. This is Three Bears Porridge! Recipe credit must go to my oldest son, who came up with the formula one morning after reading Jan Brett’s version of “Goldilocks and the Three Bears”. The book is loaded with vivid detail, one of which was a delicious description of the bears’ porridge: it had berries, nuts and honey in it (of course!) My son who, at the jaded age of seven, was entirely sick of porridge for breakfast (blame his health-nut Mommy, who doesn’t believe in cold cereal as a way to start the day), was motivated to make a change. His inspired idea came just as I was washing a pint of fresh berries: “Let’s make it just like in the book!” Three Bears Porridge was born. It renewed his interest in porridge then and ever after. We have come up with many variations of Three Bears Porridge since then, but our year-round standard is made with frozen organic blueberries, hot oatmeal, chopped hazelnuts, and a drizzle of Uncle Sal’s honey. My oldest likes his with “cow’s milk.” – as a child of the new millennium, he has learned to be specific about these things. My youngest prefers his dry. 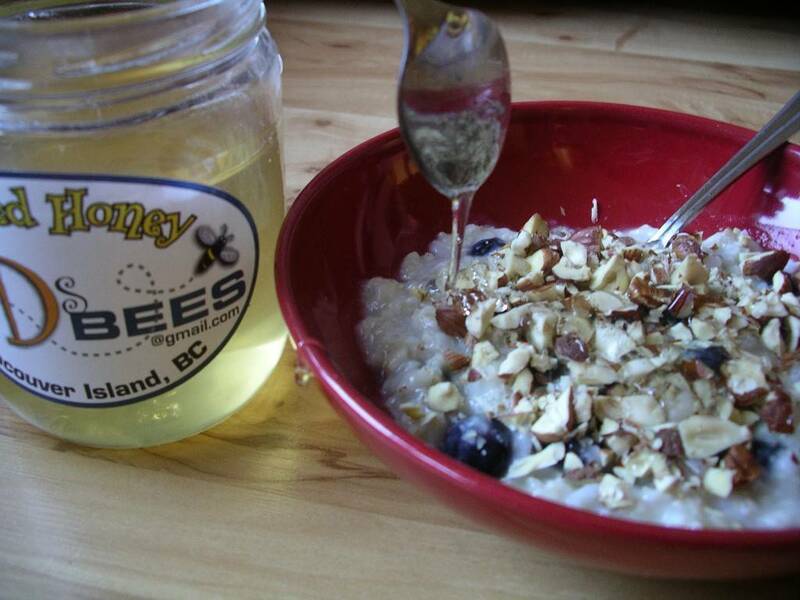 I usually leave the honey off my bowl – I find the blueberries are sweet enough. 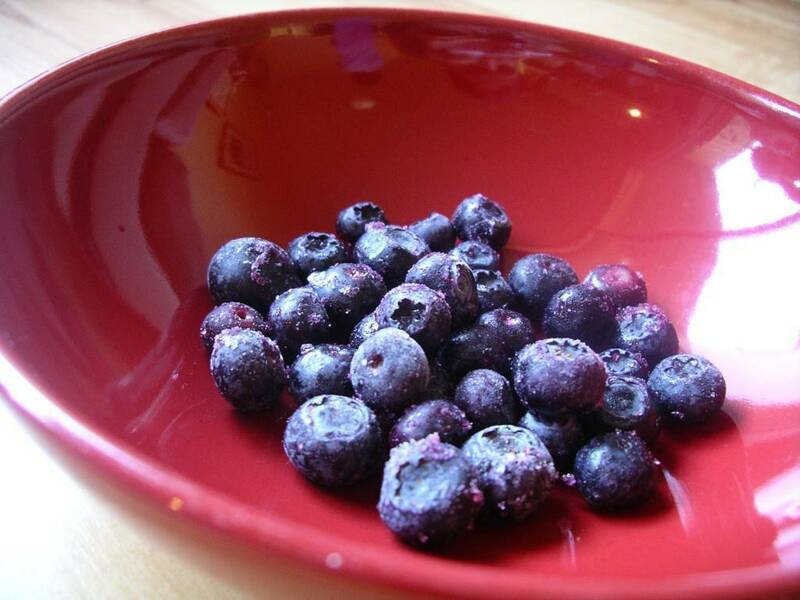 First, put about 1/3 cup frozen blueberries in a bowl. Cover with about ¾ cup with piping hot oatmeal*. Mix together, to thaw the berries. 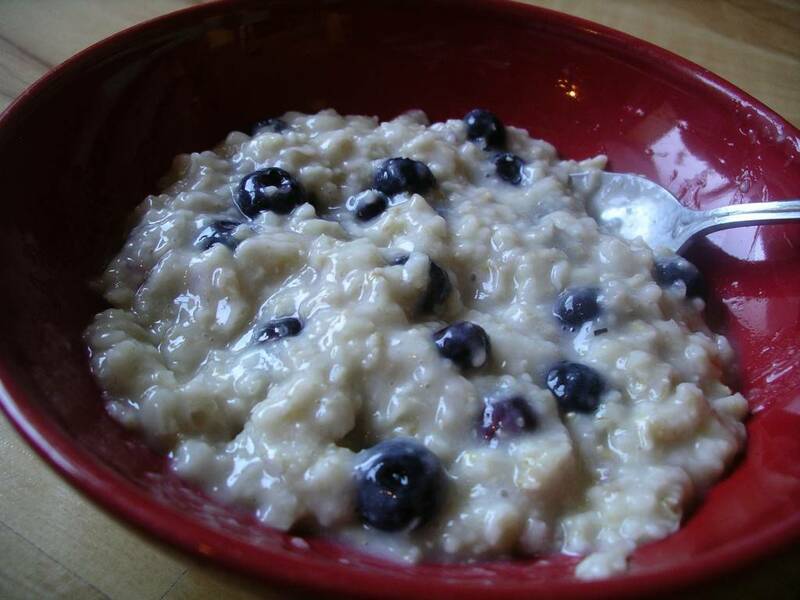 (HINT: If your oatmeal has cooled down somewhat, first run the blueberries under warm water for a few seconds to start the thawing process. Drain berries before adding the oatmeal). *Instructions for cooking oatmeal easily on a busy week day will be posted later this week . 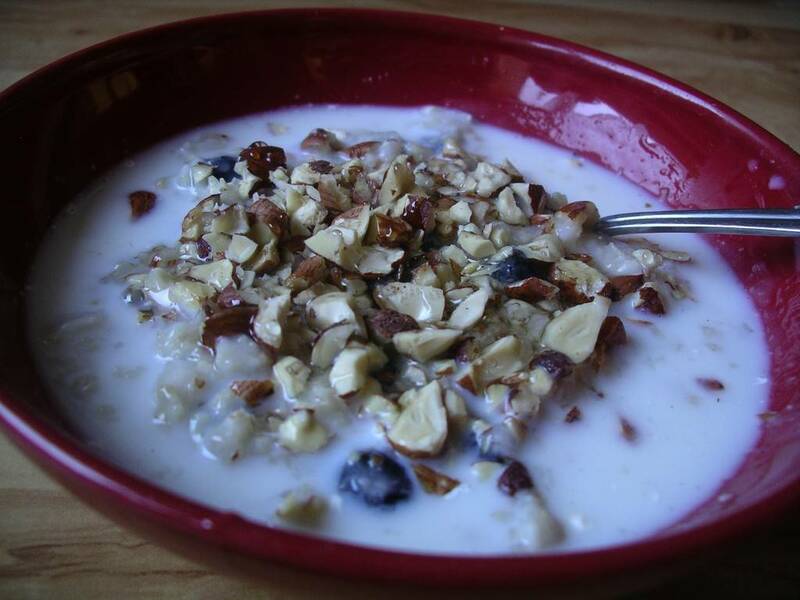 Sprinkle about one tablespoon of chopped hazelnuts over the blueberry-oatmeal mixture. Drizzle about 1 teaspoon honey evenly over the top. Add milk, if you like, and voila! Three Bears Porridge. It tastes good, very very good. And pat yourself on the back: it’s also high in fiber, vitamins, minerals, protein, and all that good stuff. 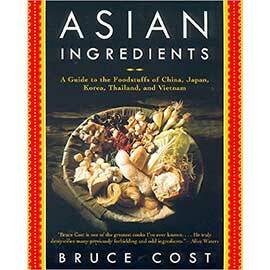 Yum…simple and delish. My kids are not porridge fans, but maybe with the bear story, I can get this on the menu. If not, I’ll eat it!